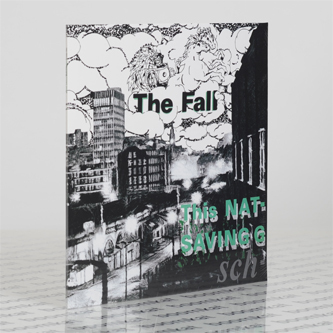 *Fully remastered edition of one of The Fall’s most loved albums*"Originally released in 1985, 'This Nation’s Saving Grace' is one of The Fall’s most loved releases and is often hailed as one of the greatest albums of the 1980s. Drawing from the well of primal rock ‘n’ roll, the band play with muscular spontaneity and inspiration to create music that still sounds unique and challenging, especially against today’s anodyne imitations of rock and ‘guitar music’. 'Schtick: Yarbles Revisited' is here available for the first time on vinyl, and compiles the singles released around ‘This Nation’s Saving Grace’ including five tracks from the bands’ 1985 BBC Peel Sessions. Also included is the track ‘Ma Riley’, which made its debut on the 2011 CD box set."